Join workshop Leaders and Senior Tutors of Dru Australasia, Patricia Brown and Janet Scharbow on a journey of self discovery. Co-director of Dru Australasia and international presenter, Patricia combines her expertise as a highly respected natural health professional with yoga, creating a successful holistic approach to Body/Heart/Mind well-being. 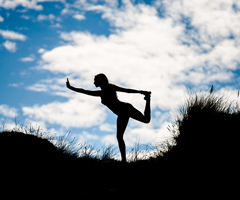 She has been teaching yoga, meditation and masterclass programs since 1984. Patricia is a freelance writer of yoga philosophy and is involved in global humanitarian peace projects. Janet,co-director of Dru Australasia, combines her previous corporate business skills, personal development knowledge, Ayurveda and Yoga therapy to help people at all levels understand and simplify the complexities of life. After this yoga workshop you will leave with lots of helpful 'takeaways' - new learning, things to try and ideas to incorporate into your daily life. Workshops are also a great way to get re-inspired, move your body in new ways and connect with new friends. 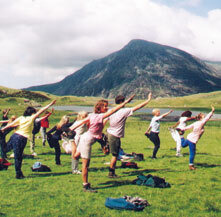 Whether it's improving your yoga or exploring the unique aspects of Dru Yoga come and join us for a fun filled day.